Neville walked out before the October 9th edition of Raw when he didn't want to lose a match against Enzo Amore. He didn't like where he was headed with WWE, therefore, he took his ball and went home. Since then there's been pretty much radio silence from both sides concerning the issue. It looks like WWE is moving on after Neville walked out of the company. It's not looking good in respects to mending the fence between the two sides at this point. Reports say Neville is quite happy with his decision to leave WWE. He was upset about several issues including pay, his creative direction, the fact he was stuck on 205 Live, and his royalty payments from WrestleMania 33. Now WWE looks like they're distancing themselves even more from the Neville Level. They cut Neville from the 205 Live intro and have forgotten his name in respects to listing off Cruiserweight Champions. It's almost like he never existed at this point. In the end, it's totally up to WWE on what they're going to do with Neville. They could release him from his contract early and put him under a 90-day no compete clause. But it's also possible they could just have him sit at home and run out the rest of his contract while not allowing him to take any kind of work to perform anywhere else. 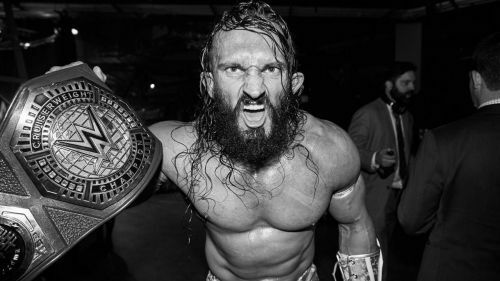 It remains to be seen, but right now it looks like things haven't gotten any better between WWE and the former King Of The Cruiserweights. It's a shame Neville walked out like he did. But it's not surprising. I would have been frustrated as well and the monetary issues only add to the stress of his situation. Let's just hope something can be done so Neville will be allowed to perform somewhere because it would be a shame to prohibit him from wrestling at all.